Mauritius is striving towards becoming a jurisdiction of choice for doing business and has been appraised by international agencies like the World Bank (WB), the Financial Action Task Force (FATF). Mauritius is determined to be considered as a fair platform by rigorously applying best international practices in the global business sector. Mauritius also formed part of the OECD Global Forum Working Group in order to develop the Tax Information Exchange Agreements (TIEAs) to encourage exchange of information to promote co-operation in tax matters. In May 2000, it was one of six offshore jurisdictions which took the commitment to the OECD (Organisation for Economic Co-operation and Development) so as not to be considered as jurisdictions offering ‘unfair tax’. Since 2 April 2009, Mauritius is on the OECD’s list of the jurisdictions implementing the internationally agreed tax standards (the White List). Mauritius has double tax avoidance treaties with some 35 countries: Barbados, Belgium, Botswana, China, Croatia, Cyprus, France, Germany, India, Italy, Kuwait, Lesotho, Luxembourg, Madagascar, Malaysia, Mozambique, Namibia, Nepal, Oman, Pakistan, Qatar, Rwanda, Senegal, Seychelles, Singapore, Sri Lanka, South Africa, Swaziland, Sweden, Thailand, Tunisia, Uganda, United Arab Emirates, United Kingdom, and Zimbabwe. Those can be combined with the global business regime to provide investors with fiscal advantages for trade and investment in other countries. Mauritius has introduced legislations that facilitate setting up and running of businesses and that ensure that investors are able to conduct their businesses in a secure and flexible way. Modern legislations include the Companies Act 2001, the Trusts Act 2001, the Financial Intelligence and Anti Money Laundering Act 2002, the Income Tax Act 1995, the Protected Cell Companies Act 1999, the Financial Services Development Act 2001, Financial Services Act 2007, Securities Act 2005 (with amendments 2007) etc. 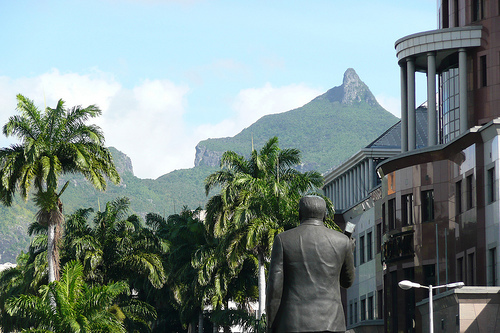 Mauritius currently provides investors with the following structures, which all comprise of attractive fiscal incentives: Category 1 Global Business Licence (GBL1) entities, Category 2 Global Business Licence (GBL2) entities, protected cell companies, insurance, collective investment funds, trusts, private trust companies, “sociétés” and partnerships. Additionally, Mauritius has the necessary infrastructure (banks, telecommunications) to allow the smooth operation of businesses.